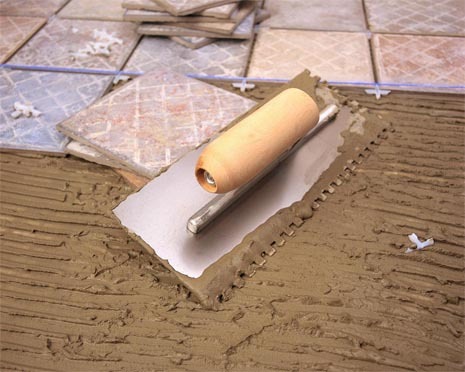 Tiling can seem like a daunting task, even to the most advanced DIY enthusiast. HandymanServices247.co.uk's expert tiler covers kitchens to bathrooms and walls to floors; he will take on any task, no matter how big or small. Our Peterborough tiler has experience working with various different types of tile - so call now on . We’ll gladly take care of the tiling, and any other decorating you have planned. We also offer plastering and glazing, in addition to interior and exterior painting, and wall lining. We only employ experienced, trade qualified personnel, to ensure the highest possible professional standards. Look at our painting and decorating services page for more information, and see our home page for the full range of maintenance and refurbishment services we provide. We operate a fixed price charging system and we don’t charge a call-out fee, so call now on to arrange a visit, or a free quote. HandymanServices247.co.uk – one call gets the job done. If your workplace requires the services of a professional painter, decorator, carpenter, tiler or plumber, HandymanServices247.co.uk's skilled Peterborough professionals have experience working on commercial properties and are available 24/7.